This is an op/ed submitted by Wheelock’s Dan Green and Steve Coniglio, the company’s local partner. It does not reflect the opinions of Reston Now. No development plans for Hidden Creek Country Club have been formally proposed to the county. If you wish to submit an opinion piece, email [email protected]. 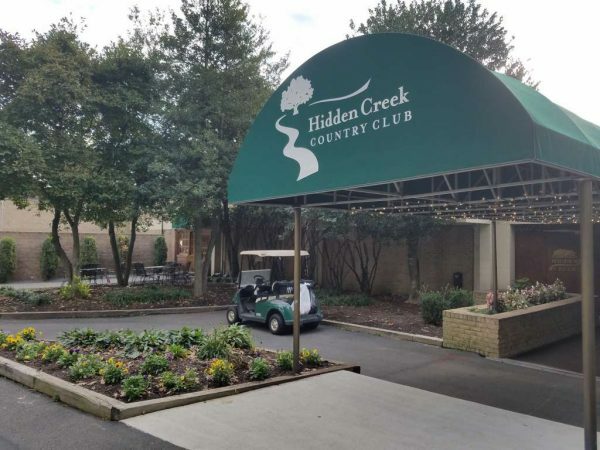 When Wheelock Communities purchased Hidden Creek Country Club in October 2017, we immediately recognized the special character of Reston and the need to include the community in exploring all the possibilities for the future of the private golf club. From the day we purchased Hidden Creek, we have been open and honest about our intentions to work in partnership with the Reston community and club members to explore potential changes to the property that could provide the Reston community with additional public amenities, civic spaces, enhanced environmental benefits and new housing choices. With that idea and Bob Simon’s Founding Principles of Reston in mind, Wheelock engaged the community by establishing a Focus Group to gain the perspective from a broad-based group of approximately 20 Reston residents that included representation from Rescue Reston, Reston Association, Reston Community Center, Hidden Creek Country Club members, nearby residents and other stakeholders in Reston. We hired the best local firm, LandDesign, and a national land planning expert, John Sather of Swaback Partners, to work with the Focus Group. We gave both LandDesign and John Sather “free rein” to work with the group to ensure there were not any preconceived notions about the future of the property. During the four interactive sessions, discussions centered on how the property could benefit the Reston community by creating significant public open space versus its current private use, providing public amenities to fulfill unmet community needs, rejuvenating the environmental condition of the stream areas and providing a mix of diverse housing, including the potential for senior housing and affordable/workforce housing. We did a lot of listening during these sessions. We understand there is a group of residents that prefers Hidden Creek remain a private golf club available to its members. We also heard from the Focus Group the importance of public open space and the desire for this open space to be accessible to all Reston residents, not just the Hidden Creek Country Club members and those utilizing the portion of the Blue Trail that traverses the property. Improving the environmental condition of the land, removing the “road from nowhere” from the Comprehensive Plan and creating additional housing choices all were mentioned during this process. Taking all this information, we challenged our team to think “big” on a special public element. In effect, we began by doing what few others do… we began by looking at public open space as the predominant part of the property. At the final meeting of the Focus Group, the team presented a vision for a world-class, 100-acre Grand Park that the entire Reston community would be able to enjoy and shape. In creating this vision, our team examined other signature parks such as Merriweather Park in Columbia, Md., and Prospect Park in New York City. The vision presented included both passive and active recreational amenities, an indoor tennis facility, the Blue Trail and other trails providing community connectivity as well as cultural elements that adhere to Bob Simon’s Principals for Reston. Reston is a place like no other. The Grand Park idea further reinforces that, making Reston one of the finest communities of our time. We firmly believe in an open, public process and working in a partnership with the community to envision the future of the golf course. We look forward to continuing the discussion.